Here is our inspiration photo - love the fun colors combined with the back to school theme! 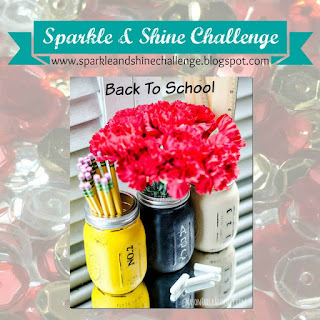 I decided to use both the color inspiration, as well as make a card that I thought would be a fun card to tuck in a child's lunchbox for the first day of school as well! 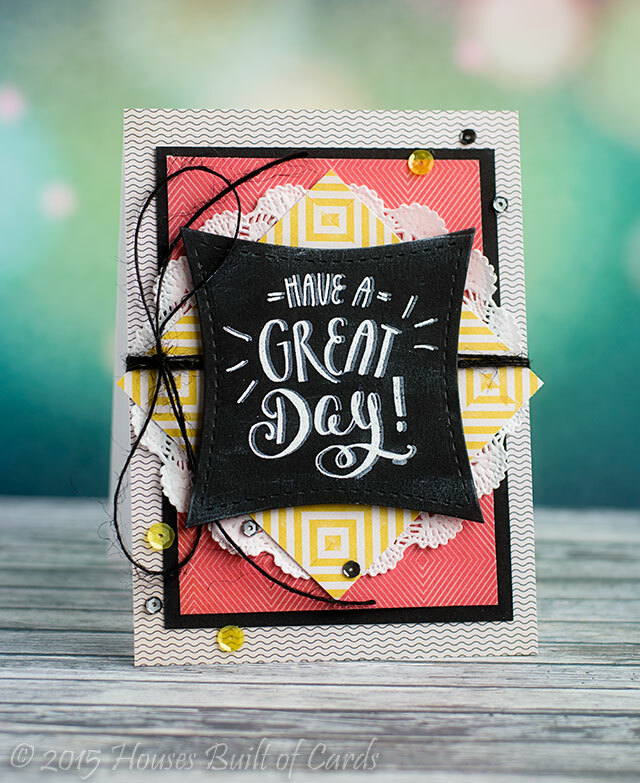 I used a some Crate Paper pattern paper to pull out my colors, then the center panel I did with a chalkboard technique using Lil' Inker's Wonky Squares Dies and Greetings and Salutations stamp set. There is also a doily tucked in there, some jute twine, and (of course!) some Pretty Pink Posh sequins as well! I hope you will join in and play along! Looking forward to seeing your creations! 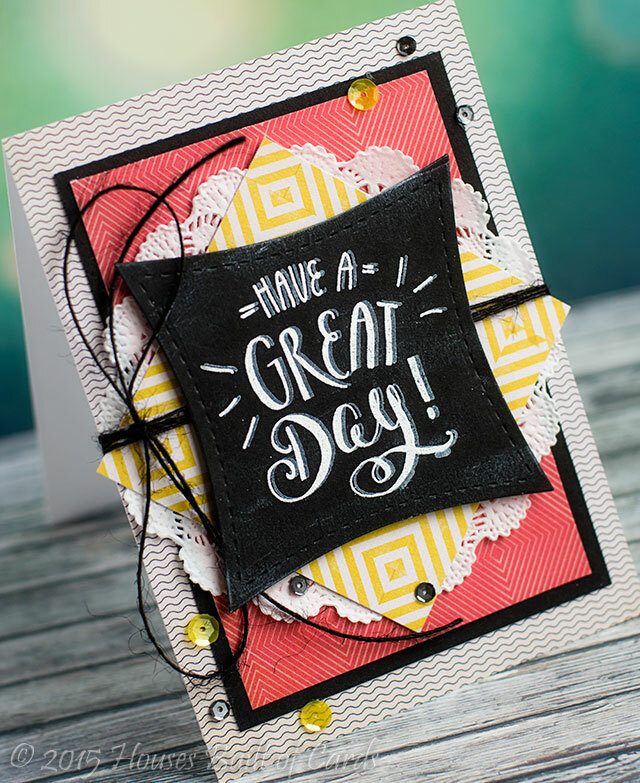 Thanks for stopping by - have a wonderful day!!! Oh my gosh! I really love this card. That wonky circle just makes it!!! Love all these fantastic layers!